Trying to get that awesome gameplay footage on YouTube only to find that Fraps / Bandicam / CamStudio can’t seem to record audio? Are all of your gaming clips muted for no apparent reason? You’re not alone. Recording programs use Stereo Mix to record whatever sound or music is heard coming out of your speakers. If you can’t seem to enable Stereo Mix then it’s possible your sound card manufacturer decided to have it removed. The good news is that you can bypass this by simply connecting the microphone outlet (pink) with the headphone outlet (green). Here are the two cables, without the headphones. The first one is the double ended jack while the second is the jack splitter (click to zoom). Most sound cards, including the ones installed in laptops, have at least two outputs – one for headphones and speaker (LINE OUT) and one for microphones (MIC IN). On a desktop computer, there are usually three outputs located in the rear (sometimes on the front of the computer as well), which are color coded – LINE IN, LINE OUT and MIC IN. We can ignore LINE IN completely and focus on the remaining two. Laptops won’t have these outputs colored but will have corresponding icons to them. 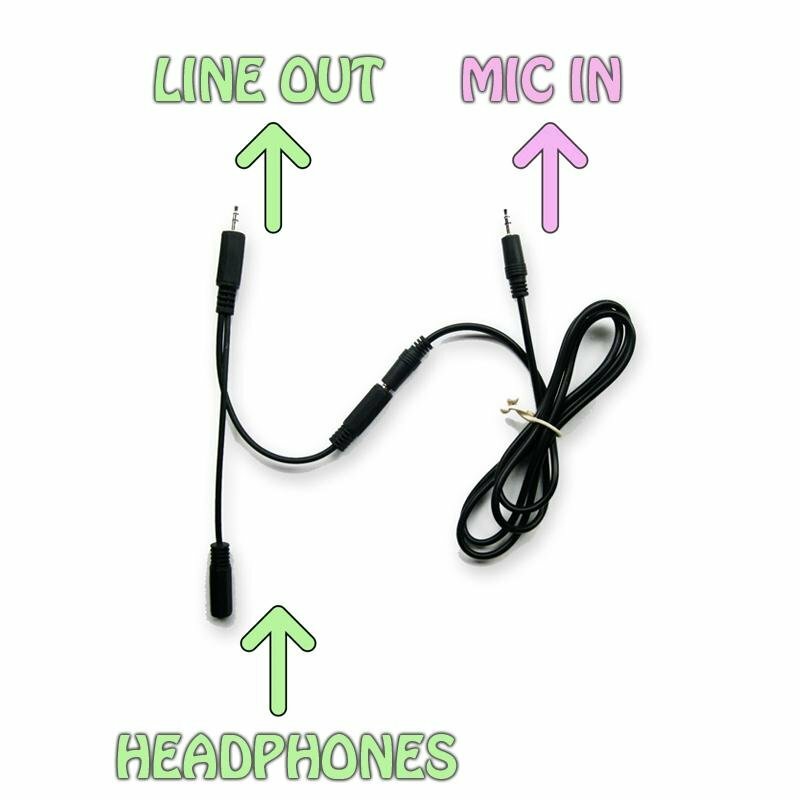 What you need to remember is that Line Out is used for headphones and speakers while Mic In is used for microphones. Combine the Double Ended Jack and the Jack Splitter and you’ll get something that will look like the image to the right. Next you’ll want to connect them to your computer, as shown. Note that you don’t need a pair of headphones, but it’s recommended if you’re using a laptop. 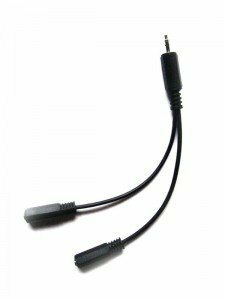 If you have a desktop computer, simply connect your speakers to one end of the jack splitter and you’ll get the same result. 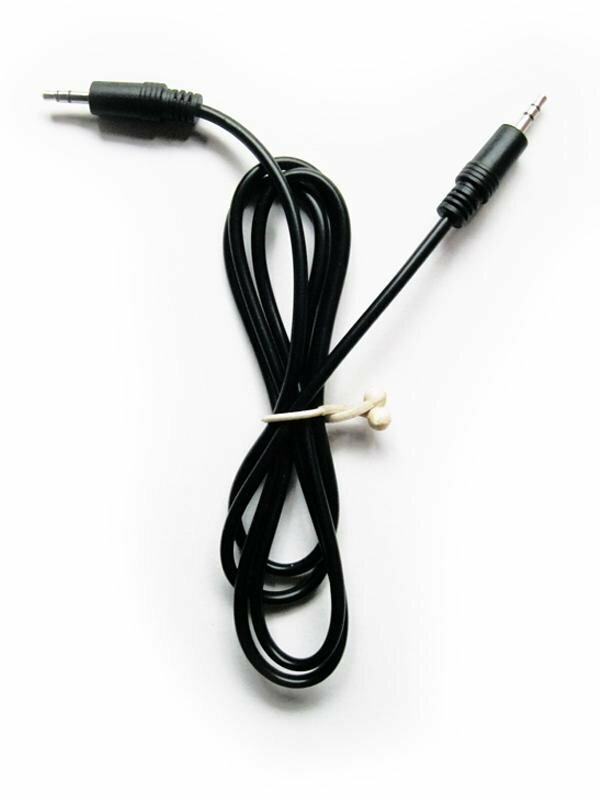 Technically, you can record sound with the double ended jack alone, by simply connecting LINE OUT with MIC IN (the jack splitter is only used so you can hear what you’re actually recording). The biggest limitation to this approach is that you can’t record any commentary, since your software will already be recording out of your microphone. Also, make sure you’re volumes are all set. These instructions are for Windows XP users, but the same applies for Windows Vista / 7 / 8 users. These are the volume levels that I prefer using. If it’s too loud or too low, your gameplay sound will be all screwy. I prefer using Line in instead of Microphone. Confusing, I know, but I usually get garbled sound during playback on Microphone. Lastly, make sure your software is correctly configured to record whatever is on Line In and not anything else. That’s it! Hope it works. Please ask questions on my: YouTube Channel or Facebook Community Page.